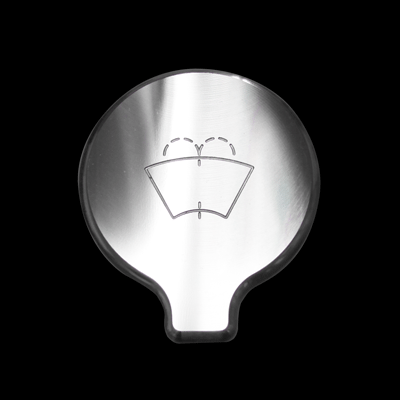 Complete the Billet 'Look' in your Mustangs engine compartment with UPR's new 05-09 Mustang Billet Windshield Washer Reservoir Cap Cover showing off a machine finish that is setting the industry standard! CNC Machined from 6061 Billet Aluminum for a perfect fit including the Diamond cutter final pass giving it the best finish possible. 2005 2006 2007 2008 2009 V6 GT GT500 Shelby Mustang Steeda Roush & Saleen Vehicles. 2011 2012 Ford F-150 5.0L Built Ford Tough Truck No one else can stack up to the bold clean styling of our aftermarket Billet dress ups, Street Strip & Racing Suspension & Performance Parts for your late model American Muscle Car!